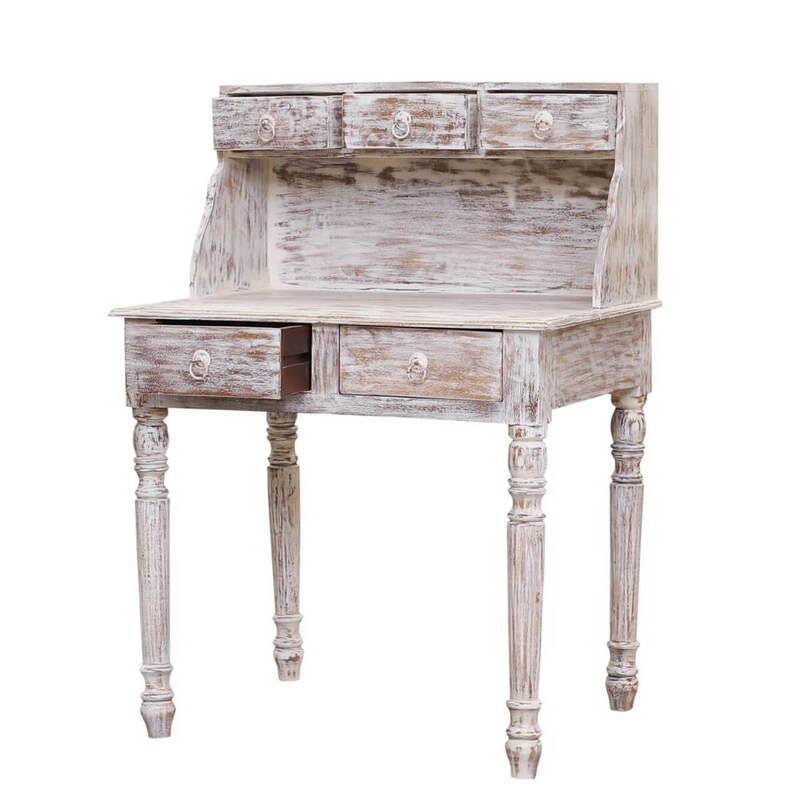 Clean lines, a sturdy silhouette, and handcrafted detailing speak volumes for the endearing appeal of our Auxvasse White Wash Reclaimed Wood Desk with Hutch. 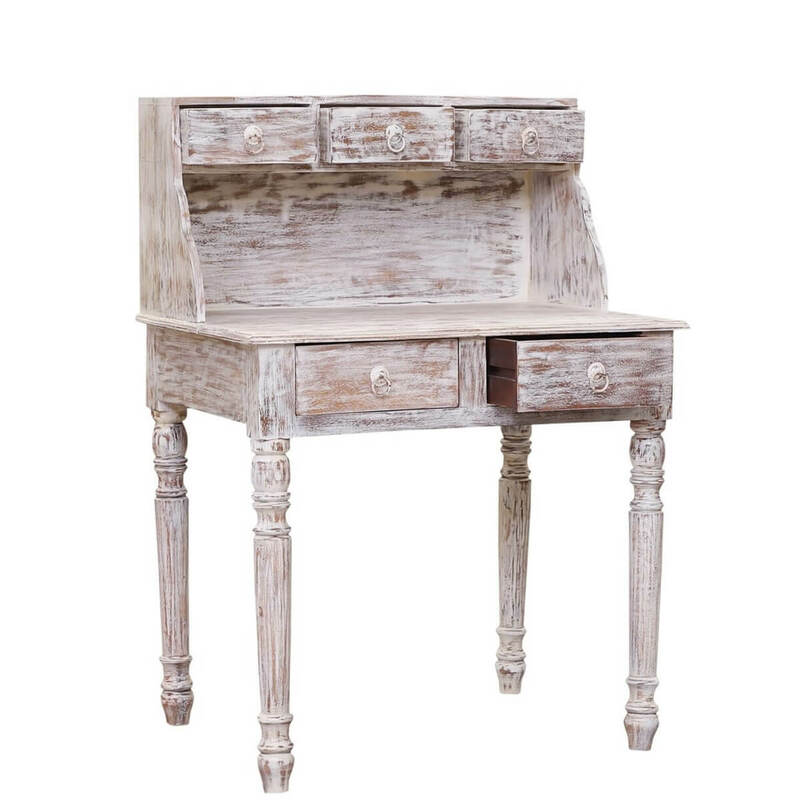 Streamlined with maximum workspace, this solid wood desk with hutch will make you wonder how you ever survived without it. 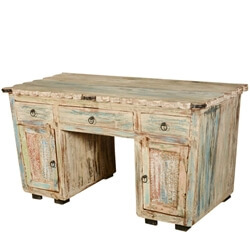 This rustic distressed desk features a configuration that makes it excellent for your home office, bedroom, or any other room that requires a generous dash of style and a hearty dose of functionality. 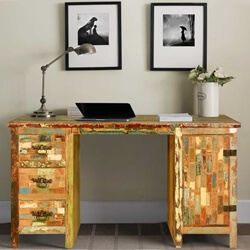 Generously scaled and rich in character, the integrated hutch includes a complementing trio of small, accessory-sized drawers to help keep you organized in addition to the two larger drawers tucked beneath the desk's surface. 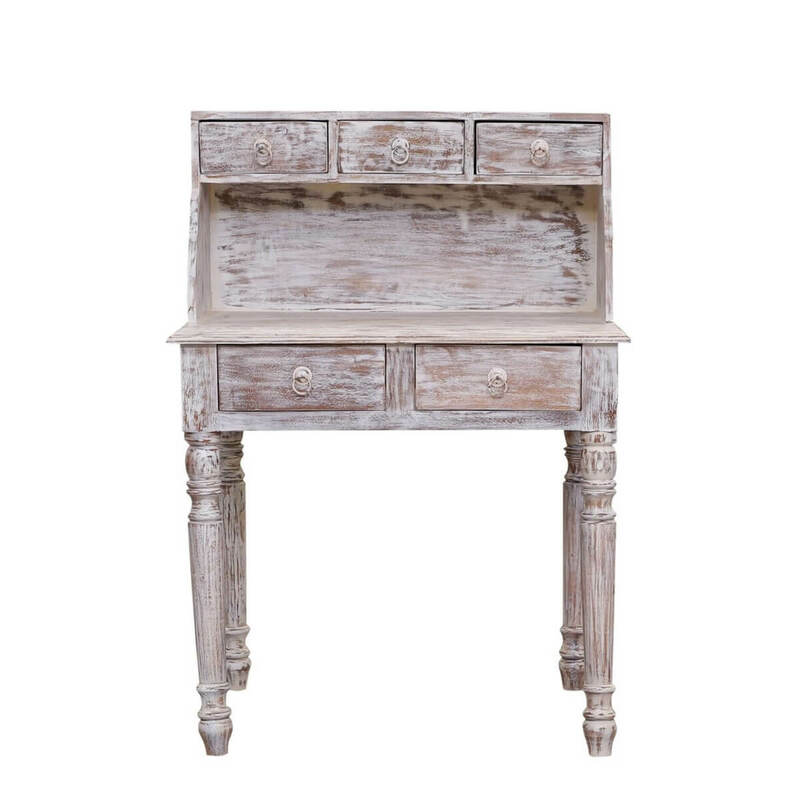 All of these drawers are outfitted in whitewashed metal ring pulls that complement the rustic weathered finish of the piece. 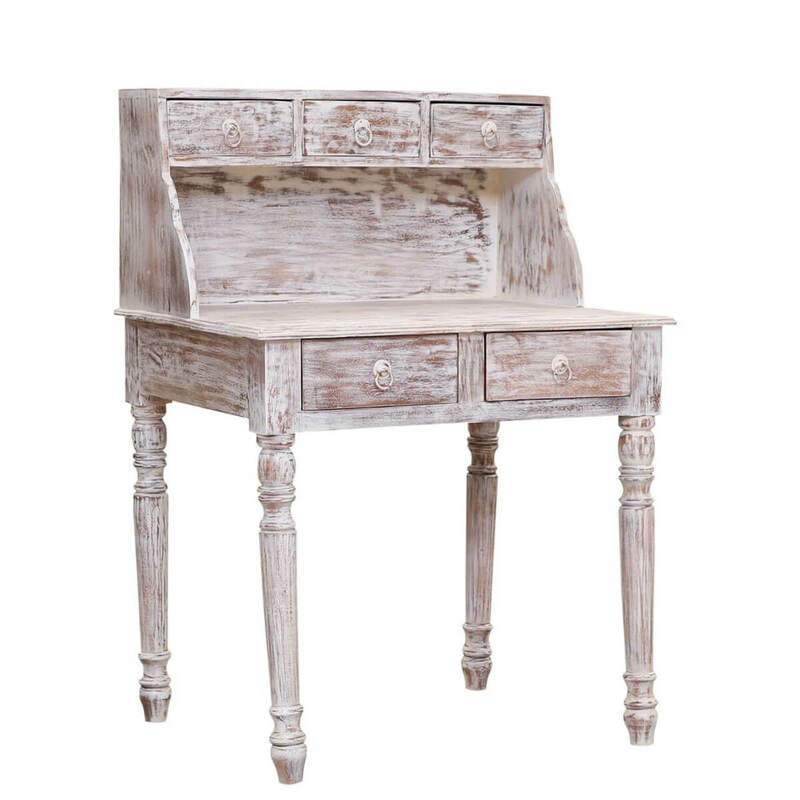 This hand distressed whitewashed reclaimed wood desk evokes a primitive charm with a provincial flair that complements a range of decor schemes. 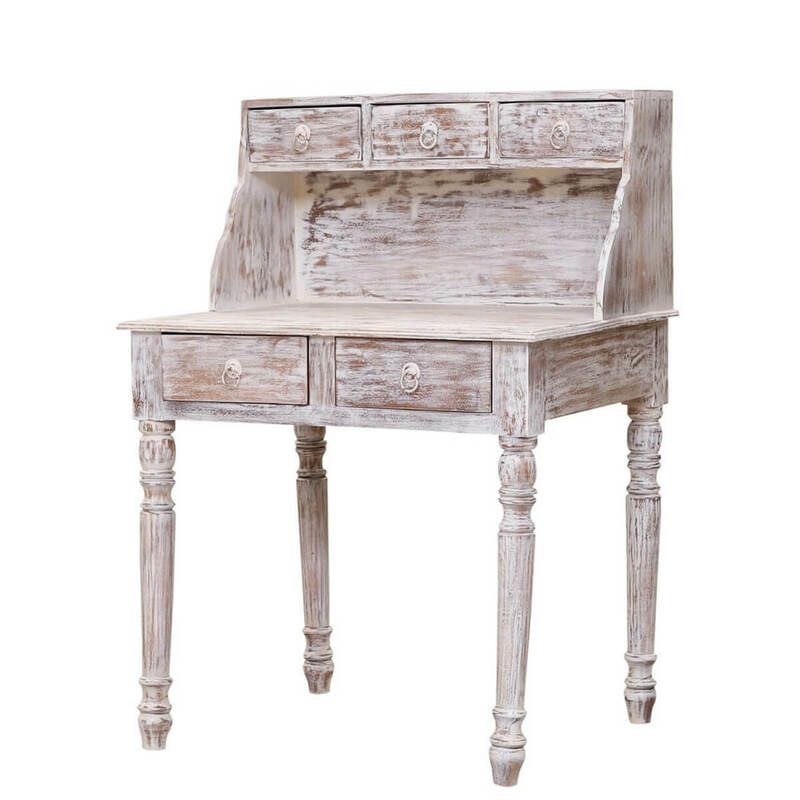 The thoughtful design features a spacious surface with raised hutch that lends added workspace to accommodate a laptop with ease. 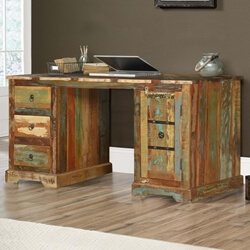 The entire piece is handcrafted to highlight the intricate grain of the eco-friendly reclaimed wood, revealing distinctive all-over bands that claim a prominent motif right down to the four spindled legs. 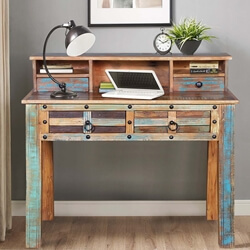 This solid wood construction is met with a seductive, clean-lined silhouette that is evocative of a simpler time to become an inspired choice for any workspace.